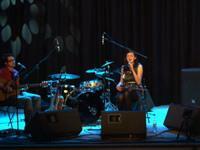 The Corner House Hotel is centrally located providing perfect access to all local Tourist attractions and activities. 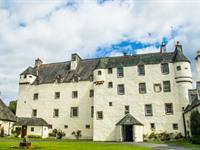 Dating back to 1107, Traquair was originally a hunting lodge for the kings and queens of Scotland. Later a refuge for Catholic priests in times of terror the Stuarts of Traquair supported Mary Queen of Scots and the Jacobite cause without counting the cost. 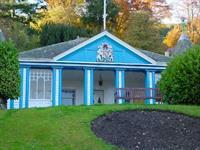 St Ronan's Wells is a historic spa built in 1828. It houses displays telling the story of the site and its links with the great Scottish writers Sir Walter Scott and James Hogg, the legend of St Ronan and the history of Innerleithen. The origins of the unique Cleikum Ceremonies held in July each year are also explained. Get your hands inky at this living museum of a thriving printing firm in the Borders, whose premises were more or less unchanged for over a century. Try your hand at being a printer’s apprentice to learn the almost forgotten art of letterpress printing and typesetting. 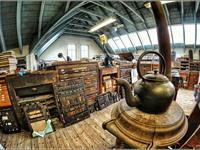 Robert Smail’s Printing Works celebrates a vital part of our industrial heritage and social history by giving you a hands-on demonstration of how things were printed not so long ago. Local Downhill Mountain Biking is available through Uplift Scotland. Fishing on the River Tweed with Tweed Guide. 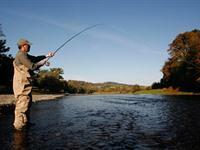 Contact directly on tweed@guide or 07962401770. 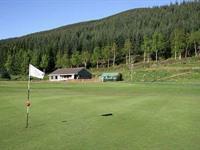 Established in 1886 and designed by 3 times Open champion Willie Park Jnr, lnnerleithen golf course is a 9 hole course. 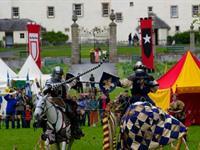 The Traquair Medieval Fayre is a marvellous line up of medieval merriment for all ages in the grounds of Traquair, Scotland’s Oldest Inhabited House. 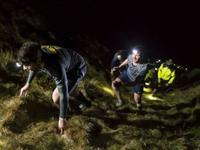 This is probably the hardest off-road headtorch-wearing run that exists. They send you across rivers, through forests and over a mountain or 2 in the pitch dark of a chilly March night. Instituted in 1827, The Games are the oldest organised sports meeting in Scotland and are now part of a ten day festival that incorporates many events for every age group. Central to the festivities are the Cleikum Ceremonies when the town's association with its Patron Saint, St. Ronan, is celebrated.